Celery with peanut butter is a long-standing snack item at casual parties and tucked into school lunchboxes. It can be kept unrefrigerated for several hours and retains its crispness, appearance and flavor. This tasty treat does have many healthy components, making it a good choice for snacking by all ages from kindergartner to the elderly. 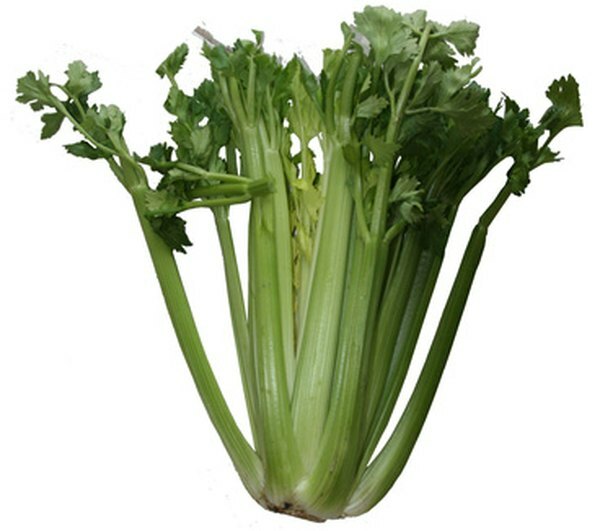 Most people eat celery stalks, either raw, boiled or baked. One serving of celery contains 18 calories, 2 grams of fiber and 1 gram of protein. It is fat-free and low in sodium. It meets 40 percent of the U.S. Recommended Daily Allowance of vitamin K and 10 percent of vitamin A and folate. It provides 8 percent of your daily need for potassium, 6 percent of your vitamin C and manganese, and lesser amounts of calcium, vitamin B-6, riboflavin, magnesium, phosphorus and pantothenic acid. Commercial peanut butter is typically made from roasted peanuts, oil, sugar, salt and other ingredients. A 1-oz. serving contains 165 calories, 14 grams of fat, 7 grams of protein and 2 grams of fiber. Peanut butter is fairly low in sodium. It supplies 21 percent of your body's daily requirement for manganese, 19 percent of your niacin, 13 percent of your vitamin E, 11 percent of your magnesium and 10 percent of your needed phosphorus. Peanut butter supplies smaller amounts of vitamin B-6, copper, folate, zinc, potassium, iron and pantothenic acid. Harvard Medical School notes that the fat in peanut butter is 80 percent unsaturated, making it a healthy food option in moderation. For even healthier peanut butter, make your own using roasted peanuts and a small amount of peanut oil. To make a celery and peanut butter snack, wash, dry and trim several stalks of celery. Add peanut butter into the cavity and it is ready to eat. For extra nutrition, dot with raisins or dried cranberries. For a completely different taste, the Smoothie Recipes website suggests making a peanut butter and celery smoothie using milk and bananas in addition to the peanut butter and celery. You can also eat peanut butter on whole-grain crackers, sliced bananas, whole-grain bread or sliced apples. Serve celery sticks with low-fat cream cheese, low-fat pimento cheese or hummus. Instead of peanut butter with celery, try pepper rings with low-fat ranch dressing and corn chips with salsa. Harvard Health Publications: Ask the Doctor: Why Is Peanut Butter "Healthy" if It Has Saturated Fat?